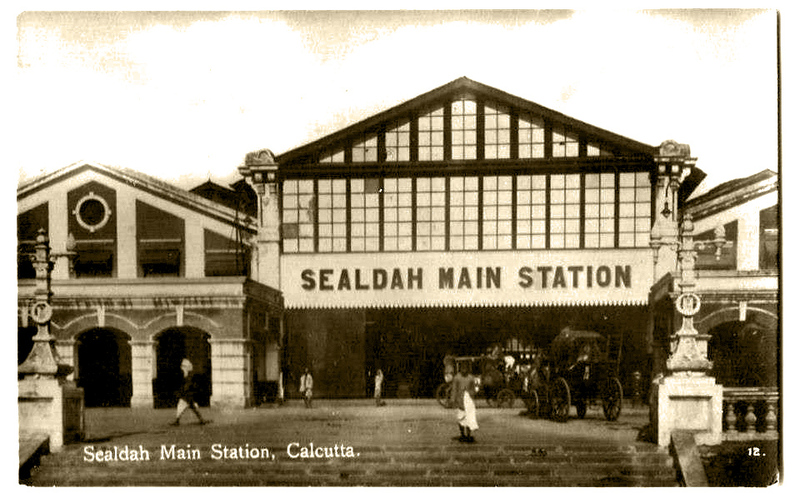 The original Main Station at Sealdah, designed by Mr. Walter Glanville was built in 1869. This was the main station. Subsequently as Calcutta spread, large areas south of the became suburbanised and it became necessary to provide these new areas with railway communication. The lines radiating to Diamond Harbour (once the main port) , Laksmikantapur, Canning and Budge Budge were known as south section. Interestingly this part of Sealdah station was built close to the main station but at right angles to the main station. Due to the same reasons for growing traffic to and from northern suburban areas another new North Sealdah station was built adjacent to main station. The photograph was published as 1900’s post card, exact year and oth er detail unknown. This entry was posted in Communications, Stations/ Routs, Surface Transports, Transports and tagged calcutta, Eastern bengal railway company, guaranteed line, guarteed company, railway stations, sealdah railway station, Sealdah station, walter glanville. “First section was completed in January 1962” to be rechecked.